Klayman: Fox News Is Right for a Change: Hannity Should Not Call Sara Carter an Investigative Reporter! 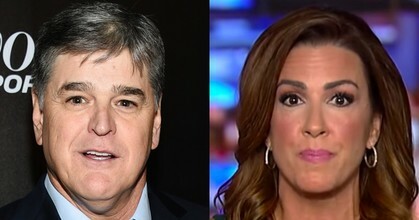 Fox News host Sean Hannity has ignored calls from network execs that he stop promoting frequent guest Sara Carter as an "investigate reporter." Network executives have made the request in response to her reporting not being vetted or meeting the network's editorial guidelines, according to Mediaite. Hannity features Carter on the show almost nightly to discuss the "deep state" and other stories on her eponymous website. She is barred from appearing on the network's news programs. Fox News has also banned former Trump official Seb Gorka from the network's non-opinion shows.